Corethree has updated its Core Engine platform to support mobile applications running on the latest Android Jellybean operating system. The platform is used to support a range of operations including retail, payment and transport. The company has expanded the second generation client application for Android users to including support for the v4.1 version of Jellybean. It has also provided adaptive on-screen controls for phones using Google's latest hardware design guidelines, and enhanced its interfaces to help users get more of their mobile devices. Richard Kershaw, the company's chief technical officer, said: "At a time when IT investment is outpaced by mobile upgrades, it's the best way for our customers to make sure their mobile strategy keeps up with a rapidly moving market, and we take the headache out of handset support as part of the package." 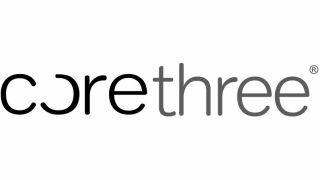 A spokesperson for Corethree told TRBC that it was originally developed as an integration engine to collate data from different back office systems, and can provide real time reports on how customers are using services. It has been used for public facing mobile applications from early this year, and existing features include an m-wallet, mobile commerce, business intelligence and CRM facilities.